Not all publicity is good publicity. Especially when the fake hijacking of the world's first self-sustaining vessel turns into the real deal. With the ship and its cargo being auctioned off to terrorists, Mack Bolan must rescue the hostages and destroy the vessel before it falls into even more dangerous hands. 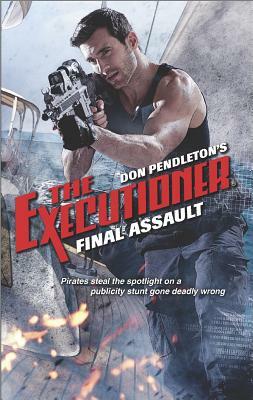 Joining Somali pirates on a raid gets Bolan on board, but getting off alive won't be so easy. Mercenaries and criminal foot soldiers have taken over, transforming the vessel into a minefield. Bolan will need to act quickly to take control, and with the extraction window closing, the Executioner is ready to turn this ship into the Titanic.